Had a pleasant visit. Very welcoming. All questions were answered by the specialist (Dr. Shaikh). Dr. Aniq Shaikh received his Medical Doctorate from Aga Khan University, Medical School in Karachi, Pakistan in 1990. He went on to attend the University of South Florida where he completed his Fellowship in Gastroenterology. He serves as the Chief of Medicine at Florida Hospital East Orlando and is a member of the American College of Gastroenterology and Association of Pakistani Physicians of North America. 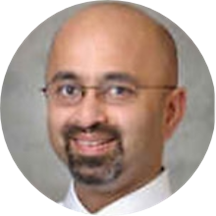 He is Board Certified in Gastroenterology by the American Board of Internal Medicine and is actively involved in social work for the Greater Orlando community and international projects, inter-faith and inter-cultural activities.